Today, Noisey is excited to announce that the one-and-only Robert Christgau has signed on to be a weekly columnist for Noisey, VICE’s music and culture site. The self-proclaimed “Dean of American Rock Critics” will be continuing his long-running Expert Witness column on the site, reviewing notable albums for the site every Friday. His reviews have long been the gold standard for American music criticism, inspiring countless writers and critics to follow in his footsteps. Since starting as a columnist for Esquire in 1967, Chrstgau has written over 14,000 reviews and listened to thousands of hours of music. 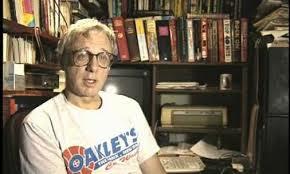 Christgau’s column first appeared in The Village Voice in 1969, originally appearing as The Consumer Guide. In 2010 Christgau brought his column to MSN where he renamed it “Expert Witness,” and until recently the column found its home at Cuepoint/Medium. Look forward to new installments of “Expert Witness,” every Friday only on Noisey.